Be sure to follow #SharkScienceMonday on twitter every Monday morning of 2018 (starting January 8th)! Each week, a team of researchers* will be discussing a different scientific paper related to shark and ray biology, behavior, ecology, or management. Some papers will be new and cutting edge, while others will be classics. They’ll all have one thing in common: a member of the Dulvy lab thought that they had an interesting or important result that significantly contributed to our various areas of expertise. Whenever possible, we will share a link to an open access copy of the paper so everyone can read along. After we summarize the key takeaways from each paper, we’ll take questions. We’ll also start a discussion about that specific paper and the discipline that it is a part of, including suggesting various experts you can follow on twitter. We hope that you’ll follow along with us, and that you’ll learn some interesting and important things about elasmobranch research and management! A member of the American Society of Ichthyologists and Herpetologists (ASIH) and the American Elasmobranch Society (AES), Joshua Moyer is an ichthyologist specializing in the evolution, biodiversity, and morphology of sharks and their relatives. Joshua has co-authored multiple scientific articles about shark teeth and routinely lectures in courses on marine biology, vertebrate biology, and evolution. He earned his Masters of Science in Ecology and Evolutionary Biology at Cornell University and is an instructor in the massively open online course (MOOC) in shark biology offered by Cornell and the University of Queensland through edX.org. Follow him on twitter! What is a shark without its teeth? For that matter, what is any animal without the ability to process and ingest its food? So important are teeth to the way many jawed vertebrates survive, that you can tell a great deal about an animal just by looking at its teeth, or in some cases, lack thereof. Sharks are no different. By asking a series of questions, you can look at shark teeth and begin to piece together a more complete picture of the shark whose teeth you’re studying. Shark Week is fast approaching and with it the potential for misinformation (re Megalodon special 2013) as well as an excellent opportunity for public education and outreach. Furthermore, with 25% of all sharks and their relatives in danger of extinction due to over fishing, at F1000Research (a new open science journal launched in 2013) we believe this is the ideal opportunity to raise awareness of elasmobranch biology and conservation efforts. In order to support these efforts we are planning the release of an article collection to coincide with this event. We are encouraging authors to contribute their work in order to highlight the importance of these indispensable apex predators. Policy, regulations and laws regarding shark conservation. Migration, feeding, ecology and behavior of sharks. Profiles of shark fisheries and future needs. 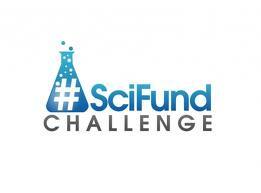 After one week, my SciFund project is more than 70% funded! Thanks to the 50 people who have donated so far! I’m making lots of progress, but I still need your help to make sure the project gets completely funded. Any donation helps, but larger donations have rewards, including getting to join me for a day of shark research in the field as a citizen scientist! Our lab, the RJ Dunlap Marine Conservation Program at the University of Miami, has taken thousands of people out into the field with us to participate in our shark research, and with a $400 donation to my SciFund project, you can join us too! 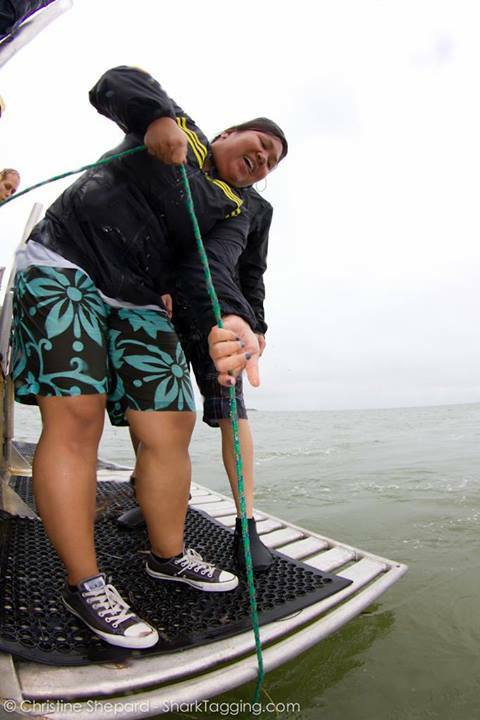 Our participants don’t just sit back and watch; you’ll get to help with every aspect of the research, including fishing, measuring, tagging, and taking samples! 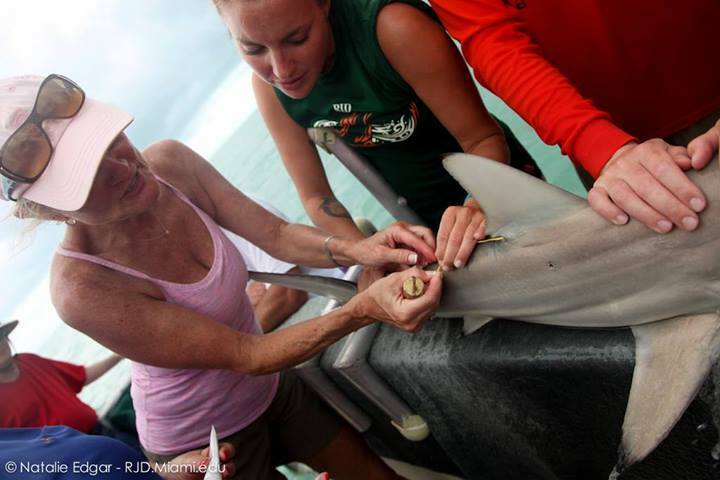 A participants helps us to tag a small blacktip shark as the team secures it. We also have professional photographers on every trip, so you will get amazing photos of your experience. In addition to making a nice souvenir, this is an important tool in helping us to educate the public about sharks. What can be more effective at convincing people that sharks aren’t a threat to humans than seeing you, their friend or family member, safely interacting with one? We’ve caught more than a dozen species of sharks, including nurse sharks, blacktips, bulls, tigers, great and scalloped hammerheads, lemons, and one great white. You never know what you’ll, but I’ve never had anyone say that they didn’t love their trip. Two donors so far have contributed at this level so far, but there’s room for more! The trip can also be given as a gift if there’s a shark lover in your life. You can learn about the projects we’re collecting data for here, and you can learn about the steps we take to make our non-lethal research methods as stress free as possible to the sharks here. Please let me know if you have any questions. We’d love to have you join us as a reward for a $400 donation to my project, but any support you can offer to the project is appreciated! 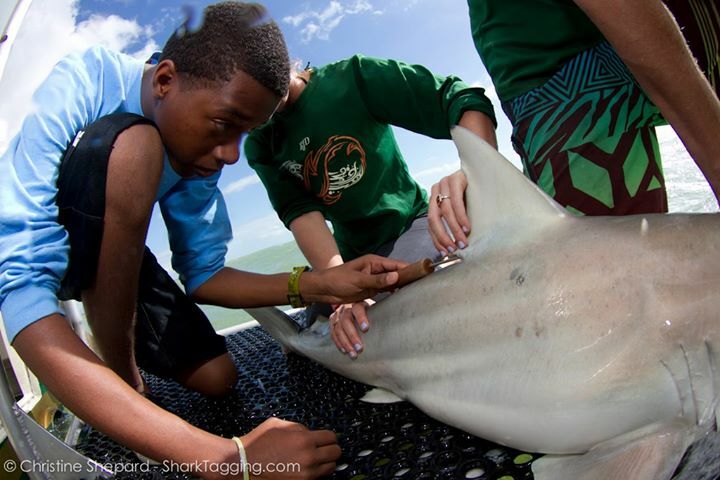 Shark Science Monday: How you can help WhySharksMatter tag sharks! Those of you who follow me on twitter know that in addition to being a grad student, I work with the South Carolina Department of Natural Resources coastal shark survey. This summer, we will be catching and tagging sharks, and we need your help! From mid-May through August, we’ll take the boat out 2-4 times a week for single-day surveys. We leave around 6 or 7 in the morning and return mid to late afternoon. There is often room for a volunteer or two, and the help is always appreciated. Since I started advertising this opportunity last week, I’ve received over 150 e-mails inquiring about it. Many of you are asking the same questions, and while I”m always happy to answer questions about sharks, I’m instead going to answer the most common questions in this post.